Dr. Cliff Cannon is a fellowship-trained, board-certified cosmetic and reconstructive surgeon, practicing in his hometown of Savannah, Georgia. Among his many achievements in the field, Dr. Cannon performed the first successful DIEP flap breast reconstructions in each of Savannah, Georgia’s major hospital systems – St. Joseph’s/Candler and Memorial University Medical Center. 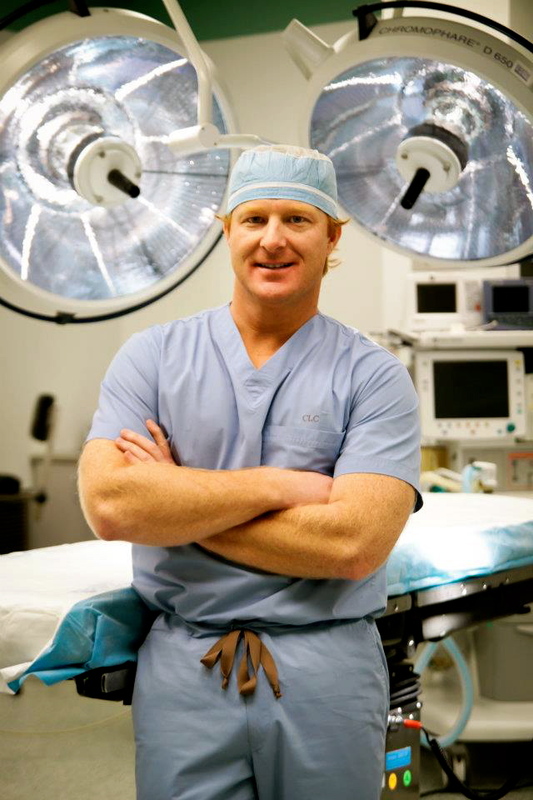 It is Dr. Cannon’s personal mission to ensure that patients in Savannah will always have access to the most sophisticated plastic and reconstructive techniques and technologies; to a surgeon who is guided by the precepts of science and also by a sense of art; and to the same vigilant, post-operative care that once characterized the “family” doctor. Dr. Cannon is a Savannah native, eldest son of one of the city’s best-beloved neurosurgeons, and he is proud to be able to serve the medical community here in the city and coast that he loves. During his formative years, Cliff worked as an orderly at St. Joseph’s hospital. In his youth, if you couldn’t find him on the water, you might have sought him at the potter’s wheel at the Savannah Country Day School, where he won awards for his work in three-dimensional forms. After earning his undergraduate degree at the University of Georgia, Dr. Cannon added a Master’s degree from Georgia Southern University. He attended medical school at the Mercer University School of Medicine in Macon, Georgia and completed a categorical five-year residency in General Surgery at the (Mercer) Medical Center of Central Georgia. Dr. Cannon received his fellowship training in Plastic Surgery at the Tulane University School of Medicine, and his research has been published in both Plastic and Reconstructive Surgery and the Annals of Plastic Surgery. Dr. Cannon and his team specialize in breast reconstruction and augmentation, performing DIEP Flap reconstruction for breast cancer survivors in Savannah, South Georgia, and the Low Country. This sophisticated microsurgery has been called the “new, gold standard” in reconstructive breast care, as it improves upon the former standard by leaving the muscles of the abdominal wall intact.